What does an autoship scheduled order look like in WooCommerce? 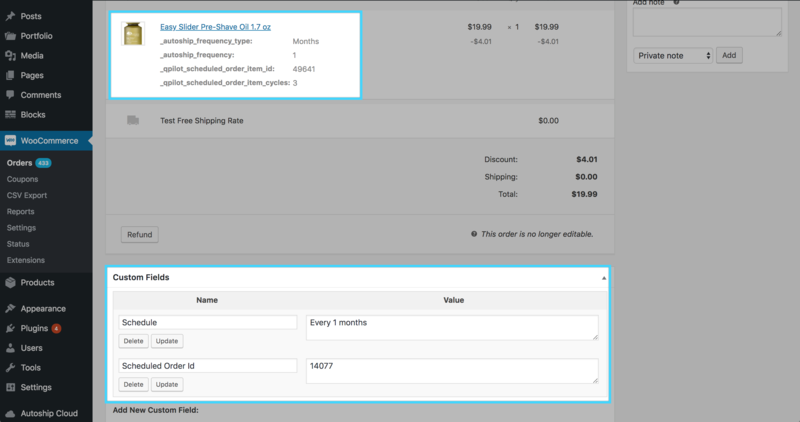 Autoship Cloud enables your WooCommerce store to receive and create orders from Scheduled Orders. This means that when a Scheduled Order automatically processes, an order is created in WooCommerce with the information from the Scheduled Order.